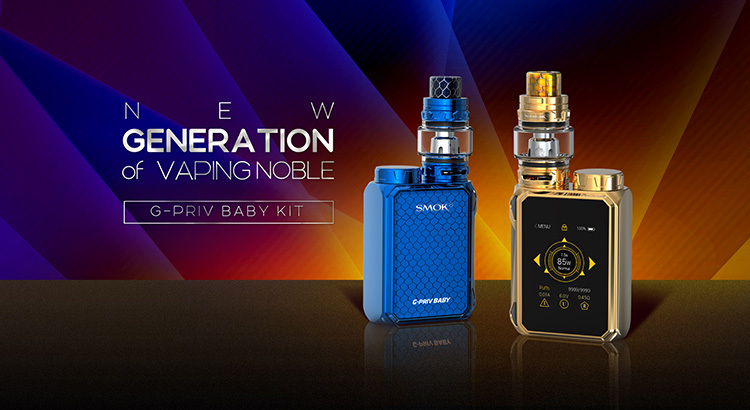 After the Luxe Editon G-PRIV 2, smok released the baby version G-PRIV Luxe Edition Vape Kit and named G-Priv Baby Luxe Edition. 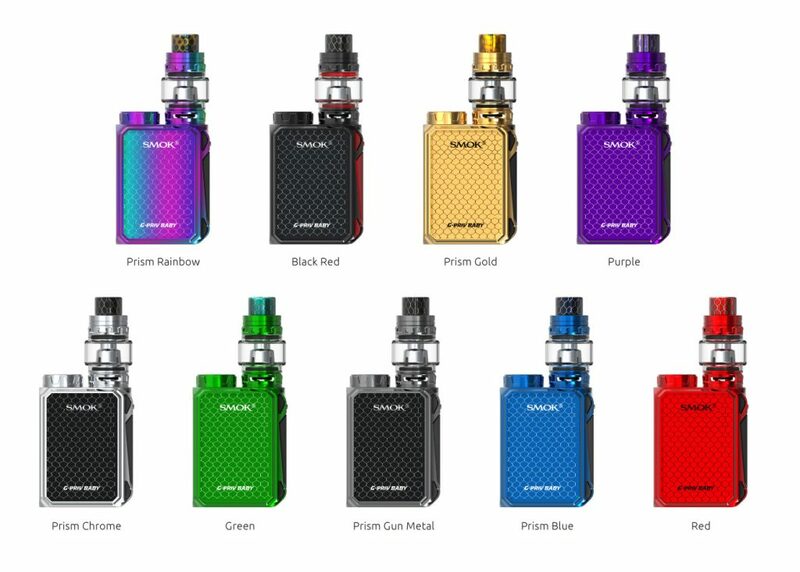 the small and compact vape kit include baby gpriv box mod and baby prince tank. 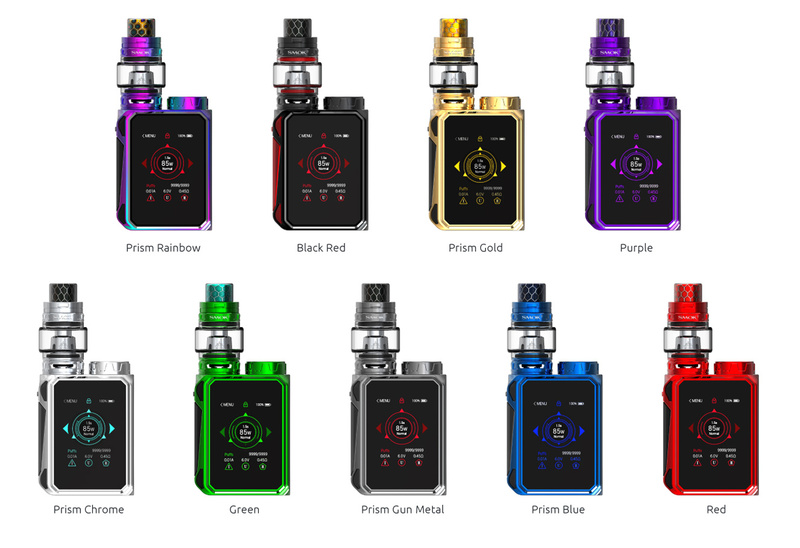 the compact small mod features the same 2.0inch touchscreen, powered by a single 18650 battery and max output 85watts. the baby TFV12 prince tank can hold 4.5ml e juice, with convenient top refill and bottom airflow adjustable designs, bringing you dense flavor and large clouds. the baby kit have 9 fashionable colors available. 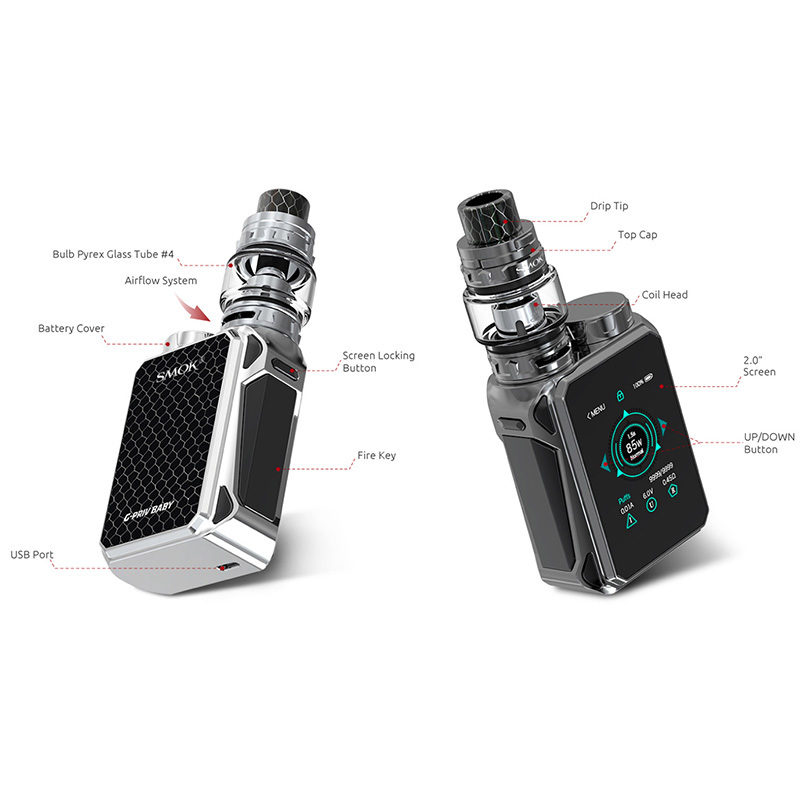 The luxe edition g-priv baby kits comes with v8 baby-Q4 and v8 baby-Q2 coils, the quadruple coils rated for 30-65W, the dual coils rated for 40-80w, no doubt both of them will provide excellent flavor and large clouds, but we still strongly recommend the baby mesh coils, rated 40-80watts, it with large heating area, heat the e juice more evenly and with longer lifespan. the baby g-priv is tinier than most of the similar output vape mods, it can easily slip in and out of your pockets much less feel comfortable in your hand.the mini smok mod fires fast and hard, under temp control mode supports nickel, titanium, and stainless steel coils. thanks to the large touchscreen and upgraded user interface, vapers will be easy to operate it, it’s responsive like your smartphones.